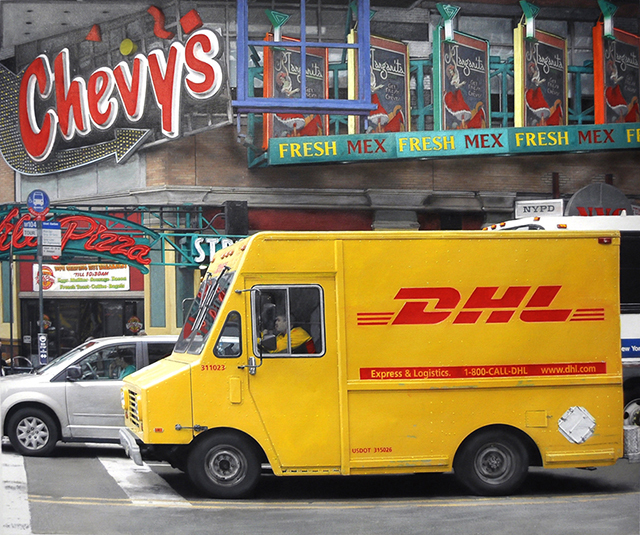 There was something about Chevy's and the DHL truck that seemed to make for a wonderful composition. New York City is the one place where a scene such as this one is everyday normal. Here we live in an alternate reality, the commodification of an urban street.